The plaza and entrance to the Leimert Park Station at Crenshaw Boulevard and Vernon Avenue. The underground Leimert Park Station. The concourse at the Leimert Park Station. The platform at the Downtown Inglewood Station near Florence and La Brea. Here are a few renderings of the Crenshaw/LAX Line that the project team passed along. The 8.5-mile light rail line has been under construction since early 2014 and there is work up-and-down the rail right-of-way between Exposition Boulevard and the Green Line. Most prominently, the tunnel boring machine that will dig the underground segment beneath Crenshaw Boulevard is being prepared to being lowered in the ground near the intersection of Crenshaw and Exposition boulevards. Here’s the project’s home page. The Crenshaw/LAX Line is funded primarily with funds from Measure R, the sales tax increase approved by Los Angeles County voters in 2008. The project is forecast to open in 2019. An additional station near Aviation and 96th will also be built to connect with the future LAX people mover that will take riders to the LAX terminals, a new ground transportation center and a consolidated rental car facility. you guys… most of the scalies in these photos are white. This is the Crenshaw line.. c’mon. I can’t believe that No One thought about this before publishing these. Check out all the future white gentrifiers getting off at the downtown Inglewood station! This PC stuff is getting out of control. So what if there are more white people on the conceptual drawings. Do you really have to nitpick at everything? Someone somewhere is going to have an issue with “oh there not enough black people being represented” or “there’s more men than women” or “where’s the Asians and Latinos” or “what about gay couples” in the pictures. Give it a rest. No matter what, some people are going to have an issue with something and claim PC about anything. You can see from a mile away that even if the pictures were showing more blacks or Latinos, then some person would claim that’s racist too because it’s like Metro is making assumptions that only blacks and Latinos takes transit because they are predominately poor. But if you put it predominately white, then that’s a problem too because then it’ll be like it’s promoting gentrification. If too many Asians are put in, then you have old white racists from the yellow peril era having an issue. Not enough gay couples, not enough children depicted, why are there Muslims shown, and on and on. For crying out loud, if everyone’s going to have an issue with people represented in the conceptual drawings, they might as well just put stick figures in them instead. Sheesh. Yup, either that or it’s just outright trolling. Personally I think it’s racist that people are complaining about too many White people in the renderings. Yes, not only are they coming, but they have probably been in the neighborhood in small numbers for decades now. Deal with it!! I am not white and I’ll still ride the rail line regardless. The rendering for the Vernon concourse has 1 white woman twice and another 3 times. Hopefully the firm that did the renderings has a more diverse staff than they show. Finally! Crenshaw renderings. Where’s the drool emoji. The rendering of the Century Blvd station is inaccurate as almost No One has any reason to use it! re: Century Blvd station usage. I travel frequently to LAX based in Seattle and often stay in a hotel along Century Blvd. I would use Metro way more than I do now thanks to this station. It would connect me with family that lives in Norwalk, business in Downtown LA, and friends on the west side. I have to believe a lot of hospitality workers that serve the Century Blvd LAX corridor would also use this station. More of the same old boring designs like AOMS (any other Metro station). 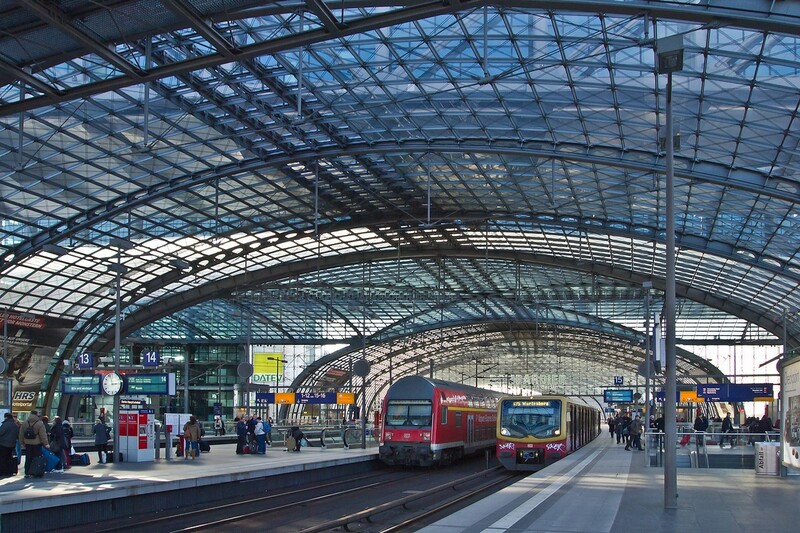 Why can’t we build nice, beautiful stations like the Germans?